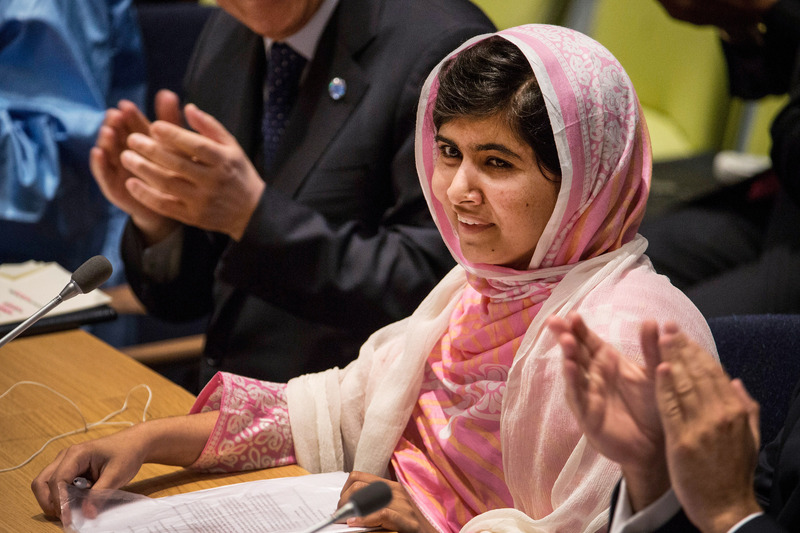 Eloquent education rights activist Malala Yousafzai celebrated her sixteenth birthday by blowing away Ban Ki Moon and co. with a speech at the UN Friday. The inspiring young activist called for free, compulsory education for all children. The sixteen-year-old spoke to mark the first annual international "Malala Day," as declared by the UN Secretary General. This was Malala's first public appearance since she was shot in the head by a Taliban hitman for speaking out on her own (and other girls') right to an education. "We will speak up for our rights. This time we will do it ourselves. No one can do it for us," Yousafazai said, in a speech that invoked Mahatma Gandhi, Martin Luther King, and Mother Teresa. "Let us pick up our books and our pens. They are our most powerful weapons. One child, one teacher, one book, and one pen can change the world. Education is the only solution." Despite widespread international sympathy for Yousafzai, The New York Times reminds us this morning that there's still a lot of work to do: "Extreme measures have become necessary as Taliban militants have pressed their violent campaign against girls’ education in northwestern Pakistan, bombing schools and terrifying pupils and parents." Over 500 members of the UN Youth Assembly have convened in Geneva today to discuss the challenges of global access to education. The goal is to have all children, especially girls, in school by 2015. "The extremists were, and they are, afraid of books and pens," Malala said. "They are afraid of women." Watch a full video of her speech here.